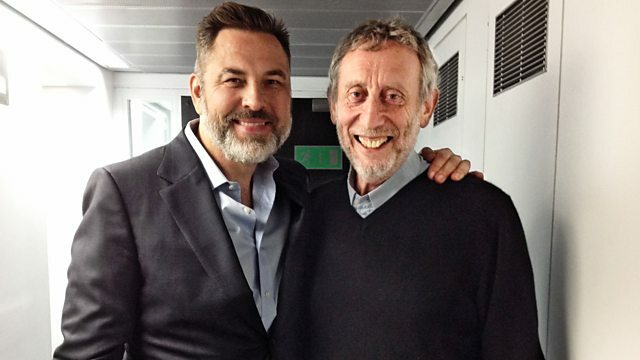 I am a devoted BBC Radio 4 listener and one of the absolute joys is Michael Rosen on Word of Mouth on Tuesday afternoons. I catch this as I am driving home from Inkpots and it’s always a delight to hear such interesting discussions about words, language development and the importance of being playful with words and language too. On some Tuesdays, I work with children who find writing and reading hard work, and Michael Rosen’s poetry really appeals to some of them. Another writer who is popular across all the Inkpots groups is David Walliams. So it was a particular pleasure to hear both these giants of the literary world on the programme last Tuesday. David Walliams talked about where he gets his inspiration for his books – and it’s from all around. He encourages children to use their eyes and ears a lot. Michal Rosen and David Walliams discussed the great tradition of caricature and how exaggerating someone’s features or characteristics really appeals in a story. 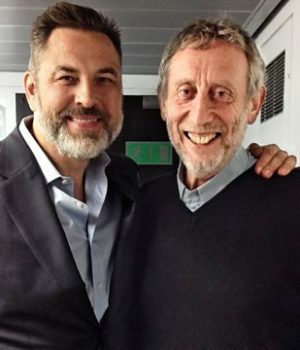 Michael Rosen suggested that David Walliams is a collector of characters – taking expressions and traits and then storing them away until they can be used in his stories. These points are all areas that I talk about at Inkpots – but coming from David Walliams, the children have been really impressed. They’re also really easily achievable aims for our young writers too. David Walliams’ books are popular across the board – a boy who would normally be into books by such writers as Rick Riordan fan, and a die-hard Harry Potter female fan will come together in their appreciation of his books. Walliams has a way of talking directly to his young readers which makes them feel included and valued. Listening to Word of Mouth is always a treat but the David Walliams special is an edition to be treasured. If any of this has inspired you too, you may be interested that we are running a free, fun online creative writing event next week. It’s for 8 – 11 year olds and will offer some ideas, inspirations and a mystery to solve! Please click HERE for more inspiration and to sign up.